All courses and coaching will be given by qualified coaches of our coaching team. We run courses for absolute beginners throughout the year, whatever the weather. The Beginners Course consists of four 2-hour sessions held on consecutive Saturday mornings from 10.30 am to 12.30 pm on our outdoor field at Highbridge Farm in Allbrook. If for any reason you cannot attend any of the sessions (work commitment, holiday etc) we will always let you make up the lost time at a later date. Our club has a large team of highly experienced, nationally qualified coaches and so we are able to offer one-to-one coaching on the shooting line. Our primary concern is to make sure you shoot safely but having fun comes a very close second. We believe that anyone can be taught to shoot a bow – all you need is the desire to do it. The club will provide you with all the necessary archery equipment so all you need to think about is your personal comfort – warm clothing, food, drink, chair. 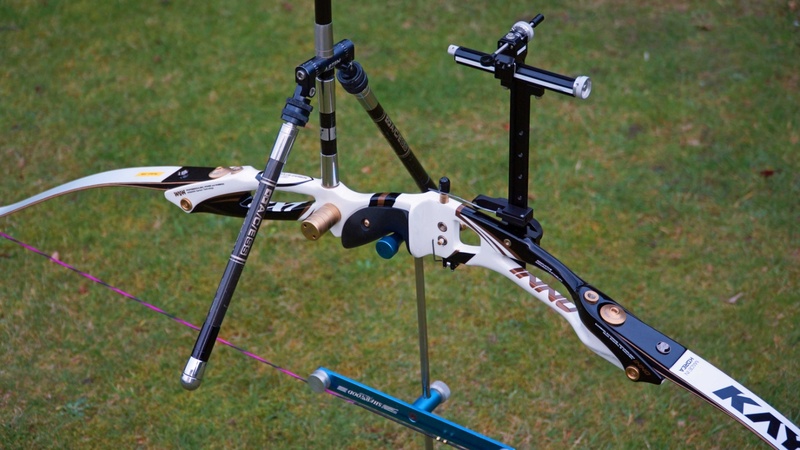 Purchasing your own bow is a big decision not to be taken lightly and we positively discourage new members from buying equipment until they know precisely what they want. When that happy moment eventually arrives, we will give you informed advice and even come with you to the shop to ensure you get kit that is matched to you as an individual. The fee for the four week Beginners Course is £50.00 per person (adults and children). This can be paid by cash or cheque on the first day of the course. If you would like to give the course to someone as a present, we can provide a personalised gift certificate but for this we ask for payment in advance. Once you have successfully completed the Beginners Course, we invite you to become a club member for which there is an annual fee. You are most welcome to carry on using the club equipment and you can join the Saturday afternoon Improvers Session where there will always be further coaching available. A key asset of our club is its large coaching team and we will continue to support and advise you, whatever level you shoot at. Does archery suit a particular type of person? Yes – you! The fact that you are reading this means that you have what it takes: namely, interest. There is no age restriction and, contrary to popular belief, you don’t need a strong arm or a good eye. We have many club members with disabilities – wheelchair users, people with visual and other impairments – and it is a sport that appeals equally to men and women, boys and girls. This makes it the ultimate family sport. For further information on the Beginners Course and to book a place or arrange a gift certificate, please contact Nick Coe by sending an e-mail enquiry to: beginners@acdelcobowmen.co.uk or by ringing Nick on 07926 994405. If you would like to try archery before committing to a 4-week Beginners course, we hold a Have-a-Go session each month. For just £5 you can have 2 hours of basic tuition using the club’s equipment. You will even get to shoot at balloons! We generally hold these sessions on the third Saturday of each month in the afternoon, starting around 1.00 pm – but do check the event calendar. 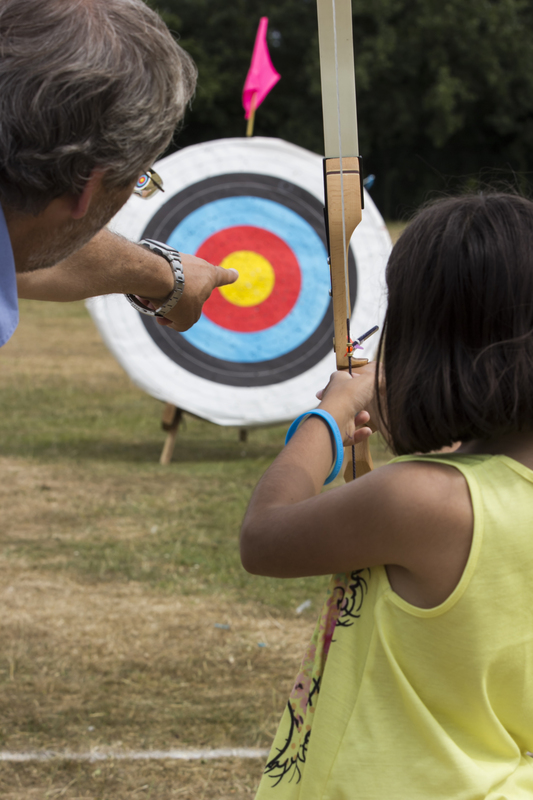 The Archery Experience is aimed at anyone who wants a short, exhilarating introduction to archery which combines challenge and fun in equal measure! Then comes the finale - you will get to shoot a competition against one (maybe even two) of our top archers at a distance of 10-15 yards. Seems a little unfair? Well, to level the playing field, we will blindfold the archer you will go up against! The Archery Experience makes a great gift for people who enjoy dipping more than just a toe in the water. For more information, prices and gift certificates, please contact Nick at beginners@acdelcobowmenarchery.club. 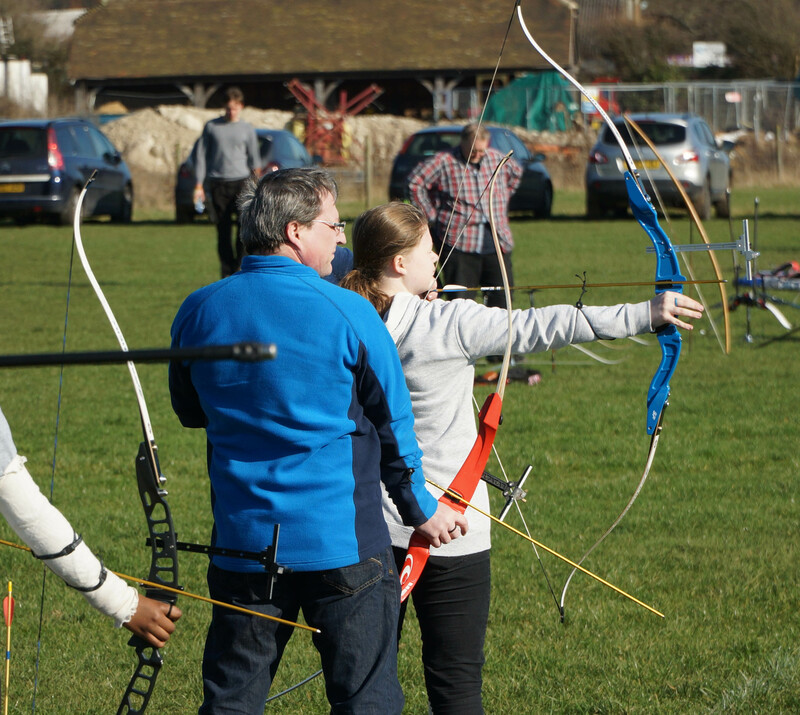 Archery is a great activity to use as the focus for a party or a team building event. Age and gender differences count for little or nothing on the archery field - and you get to shoot at balloons! Whether it’s a birthday party for children, a stag or hen do for overgrown children or a company team-bonding exercise, we will do our very best to make it a great day for everyone. If you have any questions or want to book onto a beginners course, please contact us via the form below. We're looking forward to hearing from you!